IN most confrontations between the global and local, often times, the global brings a sweeping change too strong to resist, and the lo gets swept off. The first local response to a global trend ai??i?? either a welcoming acceptance or a resisting reluctance ai??i?? has no consequence on the outcome ai??i?? the global wins, and the local gets incorporated. Well, almost. Despite it being a low percentage game, the Hyderabadi local does not mind having a go at the global; and treading a tedious and concocted path of argument, claims a win. One such Goliath we attempt to take on, in vain, is surge pricing of the taxis we so deeply love, but and during its surge hour, so strongly hate. ai?? ?It is really simple,ai??? a little bird boasts. ai?? ?Book a cab and if you see a surge, cancel. Try again. After three consecutive cancels, the surge will be off. I pay the fare while my friends pay a surge. I found the magical workaround the surge.ai??? Then pit one cab service against the other. ai?? ?Two smart phones in two hands ai??i?? one books A, one gets price from B ai??i?? and I keep cancelling the trip after exactly four minutes. No cancellation fee. As they both bring their prices down one bid at a clickai??i?? I hop on after getting the lowest fare point that I create for myself.ai??? I am intrigued enough to check on it before I get derisive about their claims. The man who handles some key features of Uberai??i? ?s surge pricing algorithm globally is an old friend; and sadly for little bird and big wolf, a fellow Hyderabadi. ai?? ?Got those flaws checked and plugged first thing after I joinedai??i?? lest Hyderabadi ingenuity beat us,ai??? he responds, gleefully. I decide to beat the cabbies in my own way and take an autorickshaw. I am sure though that soon autos drivers will be checking on the cab prices before giving us an offer, with the meter always being off. TAILPIECE: If late Jack Kerouac, the American writer had visited Hyderabad, he would have revised his greatest work ai??i??ai?? ?On the Roadai??i??. Or singer Chris Rea – famed for ai?? ?Road to Hellai??i??. Here, roads are hell. At least for a while more. After rocking the music scene for the last six years, Bacardi NH7 Weekender is all set to debut in Hyderabad. The seventh edition of the music festival has an impressive line up of legends from the EDM industry. DJs Nucleya, Anish Sood, Django Django and many others will be behind the console as bands such as Dinosaur Pile Up, Indian Ocean, Farhan Live, The Ganesh Talkies, The Raghu Dixit Project and Parikrama among others play live. We find out what to expect from some of the big names who will be performing in the city. As a precursor the musical extravaganza, a pre-party will be hosted at Olive Bistro – Hyderabad on Saturday night. On November 5 and 6 at the GMR Arena, Shamshabad from 3 pm onwards. Tickets at `2,500. Some of the most imaginative stage designs, exquisite art installations, diverse food options and an eclectic bazaar where artists, craftspeople, DIYers and hobbyist entrepreneurs from all over the country will congregate.Ai? ?Everything in the bazaar including food can be bought with tickets sold at the coupon counter. The event will also have participants from the Bacardi NH7 Weekender Periphery Art Project where they will showcase some of the most intriguingAi??artAi? ?works including elaborate installations, intricate stage designs and graffiti. This Bengaluru folk/fusion band will perform on November 5. The group who describe their music ai?? ?rooted, energetic and powerful,ai??i?? say they have had great responses from Hyderabad in their previous visits. 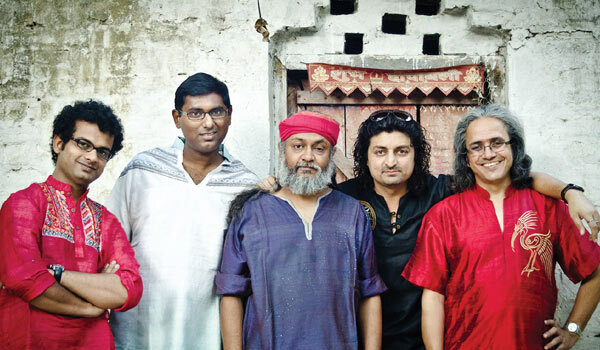 Speaking of their gig, Vasu Dixit says, ai?? ?We will be playing three songs that Hyderabad has not heard before.ai??? About their upcoming releases, Dixit who made the crowd in Bengaluru sing ai?? ?Ee bhoomi swarga aaguthide nodu earlier this month, says, ai?? ?We are working on the first single of our new album called Swatter Pehno and talks about parental pressures on youngsters. We have all suffered it at some point and we felt it was a powerful theme to sing about, in a tongue-in-cheek kind of way. We have composed a bunch of new songs that we hope to record and release in 2017.ai??? The band with a social conscience has a huge following in the city. This four-member Kolkata band, which will be performing on November 5, describes its music as kitsch, Indian and pop culture. Says Suyasha Sengupta who does the vocals and guitar, ai?? ?The majority of our band members are 90s kids. So our music is inspired by the life that we saw while growing up and it is rooted in culture. That is what we are going to showcase in Hyderabad.ai??? The band will be performing tracks like Rum and Coke, The Great Indian Freak Show and Fight Club. It will be travelling to Mumbai after their performance in the city. Originally from Hyderabad, but settled in London, Alluri will be marking his first big performance in his hometown on November 6. The Telugu boy promises to offer the audience a ai?? ?relentlessly loud gig.ai??i?? The DJ will be performing tracks such as All The Women, Man of Truth and Its With You. Speaking of his future plans, he says, ai?? ?The album Man of Truth just released recently. I plan to record an album in Telugu. A song has already been recorded last month in London. The music video will come out early next year.ai??? Alluri will be performing on the second day, November 6. On the eve of Dhanteras and Diwali, homegrown brand Krsala that recently celebrated its tenth anniversary has launched the Luminesce collection. ai?? ?The range boasts of meticulously hand-crafted jewellery with a combination of cut and uncut diamonds encrusted in gold using a relatively new technique of making jadau jewellery called open-setting,ai??? says director Samarth Bajaj. The collection also uses many precious and semi-precious stones such as rubies, emeralds and pearls to further add colour to it. 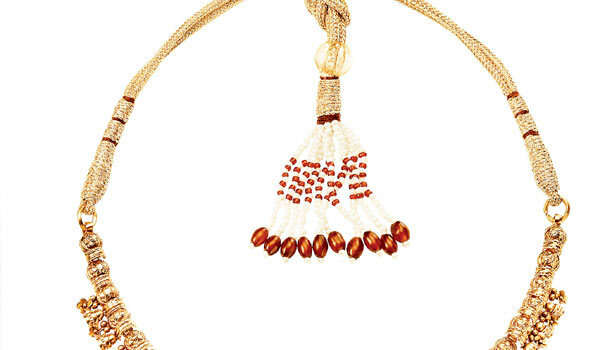 When it comes to jewellery, why should only women partake of the beauty? So if you are buying some precious pieces for your significant other, the finely crafted couple bracelets in platinum from Orra can be your best bet. Also, fusing the traditional concept of ghungroos and reversing the idea that they can only adorn your feet, the 22-karat gold bangles with tiny metal balls making a lilting sound is a piece to watch out for. Exquisite danglers in pink and gold that are a part of its Lavanya collection, will make you feel like a Begum. They also have exciting offers to make shopping for precious jewels even better. Subham, the pre-Diwali collection from Tanishq, has a repertoire of exquisite jewels by master craftsmen and they have been inspired by the marvels of temple architecture. The pieces boast of engravings that take a cue from chatris that decorate the pillars of the Hutheesing temple at Ahmedabad, intricate motifs that decorate the pillars of the Vittala temple at Hampi that exude old world charm. The pieces ooze grandeur in every detail. The beautiful earrings, resplendent neck-pieces et al are now available columns in the stores. 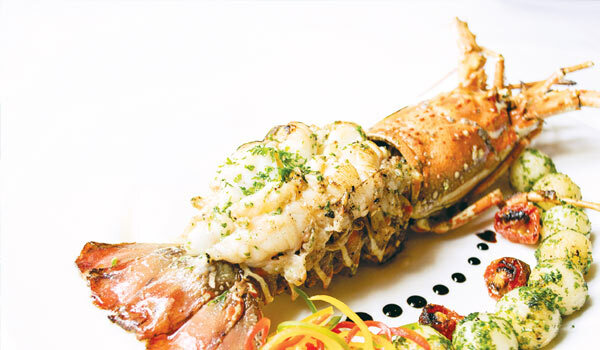 Indulge in some gastronomic delights with Barbeque Nationai??i? ?s Arabian food festival ai?? ?Wahrabia Festai??i??. On offer are delights like Khabsa Laham, Samak Al Faham and more. Camel motifs, hookahs and purdahs are set to bring in a slice of Arabia. Elahe fashion store, in association with Lakme Fashion Week, organised an afternoon of fashion and fervour. Eight top designers imcluding Gaurang Shah, Nikhil Thampi, Anushree Reddy and Divya Sheth came together and showcased their latest collection as their muse walked for them in an exclusive fashion show curated by Sonali Sharma. Actress Lakshmi Manchu, Rakul Preet Singh and Sonal Chauhan walked the ramp for their respective designers. Elsewhere at Film Nagar, renowned artist Jaya Baheti and designer Sabiha Ali blended art and fashion. Art lovers were seen admiring the dextrous strokes of Jayaai??i? ?s brush and Sabihaai??i? ?s cuts on the ensembles on the display. Spotted at the do were Rangoli Garg, Firdaus and Sarah. From fashion to fundraising, the city traverses the zones effortlessly. The Big Heart Diwali, a fundraising gala luncheon at OTM, Hotel Daspalla, had ladies visiting the do in their traditional best. The event was coordinated by socialite Gurleen Bagga. Designer Shilpa Reddy was the guest of honour. Teach For Change recently had a video launch showcasing their work at Hotel Trident. 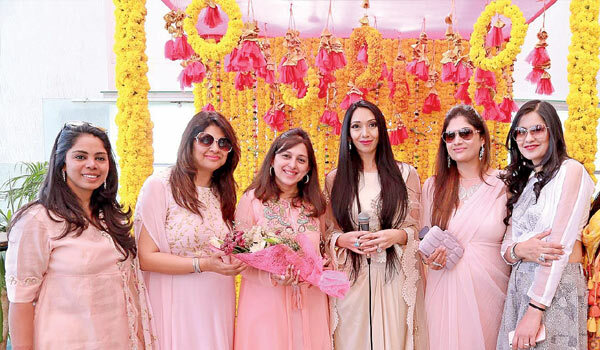 IAS officers Smita Sabharwal and Pinky Reddy joined actress Pragya Jaiswal along with many dignataries and socialites of the city. The Blenderai?? ?s Pride Fashion Tour event kicked off in style on Saturday night at N Convention Centre showcasing Bollywood actress Sonakshi Sinha as the showstopper of the evening. Duo designer Rohit Gandhi and Rahul Khannaai??i? ?s designer outfit highlighted her perfect silhouette in the figure-hugging full gown. Winter tones and textures dominated the collection with mist, ash and dark oak being the colours of the evening. From motorcycle-themed voyages to sailing on container ships, the best cruise line packages this season. There is nothing we like better than a good deal. More and more Indian travellersAi?? are now ditching their ai???land-basedai??i?? holidaysai??i? ?where they have to pay for visits, accommodation and food separatelyai??i? ?to sign up for cruise packages that offer the best of all these essentials at a fraction of the cost. With Mumbaiai??i? ?s Port Trust facilitating an International Cruise Terminal, they donai??i? 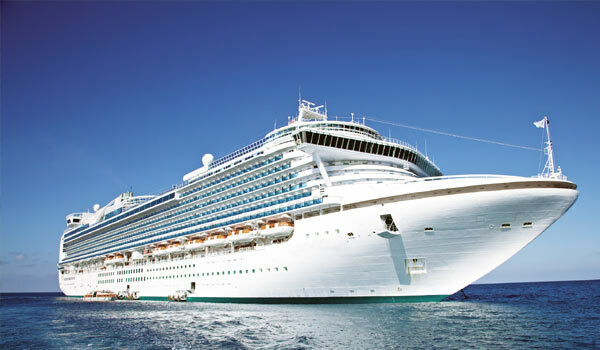 ?t even need to fly out to join the cruises; they can hop on from Mumbai, the New Mangalore port or even Kochi. ai?? ?We are observing a steady growth in demand for cruise holidaysai??i? ?about 15-20 per cent per annum. Though families and honeymooners form a large chunk, senior citizens and young solo travellers are also a strong clientele,ai??? says Karan Anand, head of relationships at Cox & Kings, adding that his organisation is combining land and cruises packages for a more wholesome experience. With sailing season beginning this month, here are a few quirky packages that could inspire you to hop on board. Yasmin pills price in mercury drug Diwali celebrations, Halloween parties, a martial arts workshop and moreai??i? ?your weekend is packed. 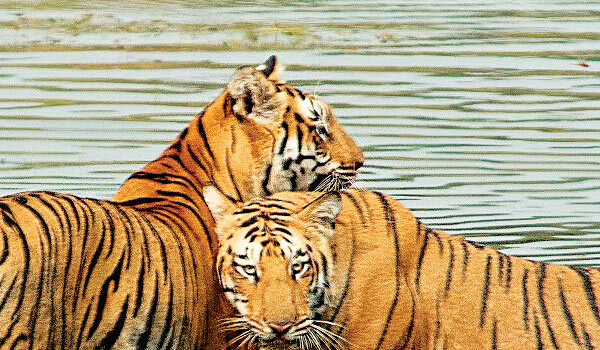 continues, you can spot some of the other famous big cats in the area by signing up for Beyond Wildai??i? ?s upcoming safari. `13,500 per head. Pick-up from Nagpur on November 1, at 10 am. A train journey to Nagpur costs `560 approximately (aboard the Pondicherry-New Delhi SF Express). Enjoy the festival of lights at Sita Cultural Centre, where you can join the fun by lighting diyas and crackers. With their liquor license finally in hand, hotel Turyaa on OMR opens its doors to the public. IF you have made your way down the busy OMR corridor in the past couple of months, you would have noticed the bright pink neon sign that says Turyaa. 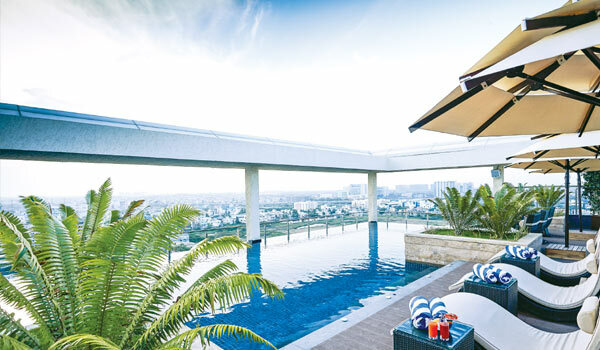 The newest boutique hotel in the city, it is owned by Sri Lanka-based group, Aitken Spence, and is their first five-star property in Chennai. More recently, the hotel got its liquor license, and expectedly, has noted a jump in numbers. It currently enjoys a daily occupancy rate of around 60 per cent). Checking in late on a Monday evening, I am welcomed by Vamsshi Krishna, head of sales, at the six-storeyed hotel. We flit through its various ai?? ?pamper cornersai??i?? (rooftop swimming pool and a spa with aromatherapy treatments) before I call it a day. Settling into one of their Deluxe Rooms, which makes up around 112 rooms here (besides 24 Junior and four Superior Suites), I find the wooden flooring charming while I am grateful for the sound proof windows and the splendid view of the sea in the morning. The bed could have been a tad softer, but then catching up with television serials had me effectively distracted. For a better view of the coastline, the next day I head to the rooftop fusion restaurant, Samasa, where I catch up with Arun Raj, the general manager. Dining with the magnificent waves in the faraway background, the menu here is another winner. Expect interesting fusion experiments like pasta served in butter chicken masala or other Indian curries, plus paneer bhurji lasagna. ai?? ?The menu has been curated with the help of chef Sugath, an expat from Sri Lanka (he has worked in various properties of Aitken Spence for around three years) who was with us during the initial weeks of operation. He has since been replaced by chef Anand, who has worked in hotels like Ramada Chennai,ai??? says Raj. We also find traces of Sugathai??i? ?s Sri Lankan expertise in dishes like watalappan (baked coconut custard with spices and tea-poached fruits). If you prefer popular staples, then Svar, the 24/7 restaurant, is the perfect place to be, as it offers bestsellers like crumb-fried chicken balls and fish fingers to dishes like grilled jumbo prawns and kozhi veputhu. Elsewhere, items like pastries, muffins, cookies and more make their way into their bakery Mistaai??i? ?s menu, while Dao, the Chinese restaurant, is finally open after getting the license. Their watering hole, Twist Bar, is offering domestic labels presently, while promising an imported lineup soon enough. Rooms from Rs 5,000 onwards. Buy feldene online At Promenadeai??i? ?s Drunken Meats festival, the flavour combinations assure a high. EARLIER this August, Le Dupleix Promenade hosted a special coastal festival with Mediterranean specials by Chef Sathish Rajasekaran, using fresh catch from the sea (think red snapper and rock lobster). Now, for its second leg, he has gone a step further by adding alcohol to the mixai??i? ?as a soak, marinade or accompaniment to the meat and seafood dishes (served with generous portions of lemon potato mash, French fries and grilled vegetables). Between a drunken chicken served with lemon and tequila, and a tenderloin steak soaked in beer, the options are plenty. Pork chops infused with whisky, grilled lobster with a Bloody Mary fettuccine and Vermouth-infused tigerAi?? prawns impress as mains. ai?? ?They are our best sellers,ai??? says Rajasekaran. However, the star of the menu is the beer-yani. The slow-cooked dish consists of chicken/prawns soaked in lager beer, and mixed with basmati rice fragrant with Indian spices. ai?? ?While our meat is sourced from Pondicherry, weai??i??veAi?? got the beef from Bengaluru. For the beer-yani, the meat is usually marinated for 12 hours,ai??? he explains. For the sweet tooth, pick their beer or red wine ice creams, or the champagne sorbet. 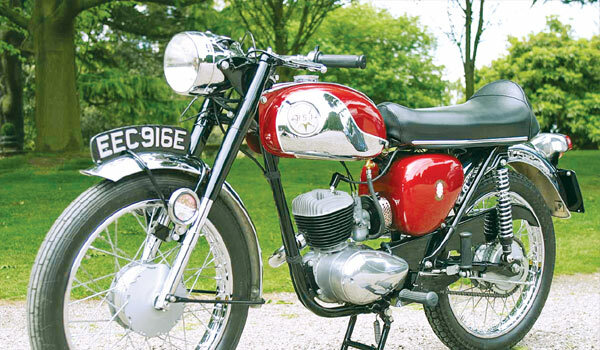 It is great news for aficionados of classic motorcycles all over the world, as both BSA and Jawa are on the verge of a comeback. Mahindra & Mahindraai??i? ?which is part of the upcoming Express Auto Expoai??i? ?unveiled plans to refocus its two-wheeler business and target premium niche segments, beginning with the acquisition of Classic Legends to co-create a lifestyle mobility company that will make motorcycles under the BSA and Jawa names. Classic Legends will have access to Mahindra Racingai??i? ?s facilities in Italy to design and launch these new products. While Mahindra has acquired BSA, along with its existing global brand rights, and will be targeting markets like the UK and Europe, Jawa motorcycles will be brand licensed for India and its neighbouring countries in Asia. The plan seems to be simple enoughai??i? ?create a portfolio of products that are modern in terms of technology but still have that quintessential neo-retro feel that will instantly relate to the respective brands that have been icons of the past. The products to be launched under the two brands will have no frontline association with the Mahindra brand and will retain their own separate identities, including sales and service outlets. It will take about two years for the first of these to roll out, so expect Jawas built at Mahindraai??i? ?s Pithampur, Madhya Pradesh plant, to hit showrooms in 2018.